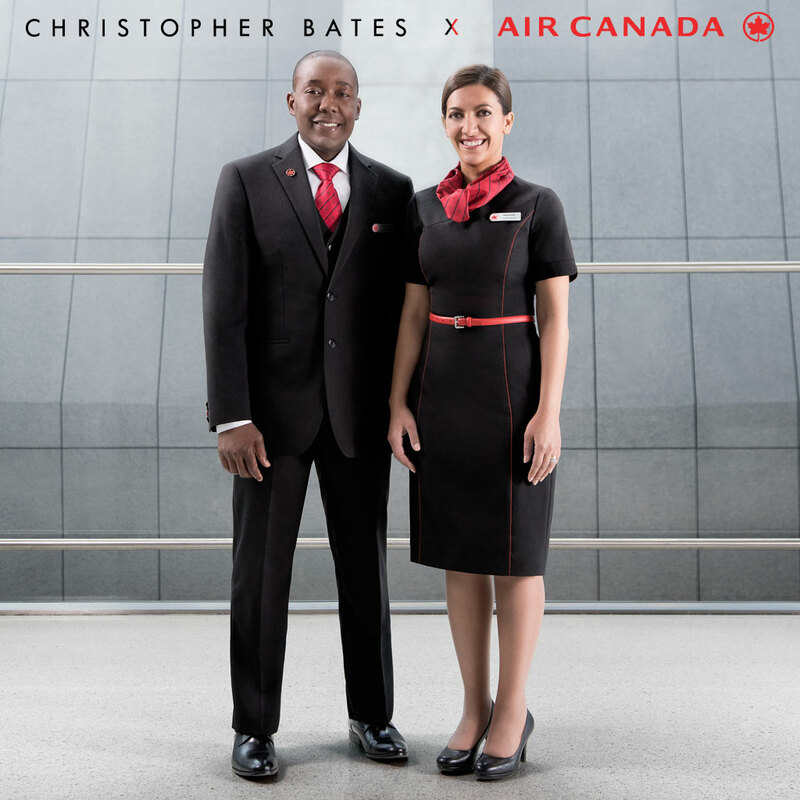 Christopher Bates proudly designed the new uniforms for Air Canada which launched in March of 2018. Also in March the new uniforms won two major awards at the North American Association of Uniform Manufacturers & Distributors (NAUMD) Image of the Year Awards including the “Best of the Best” and “Transportation, People”. 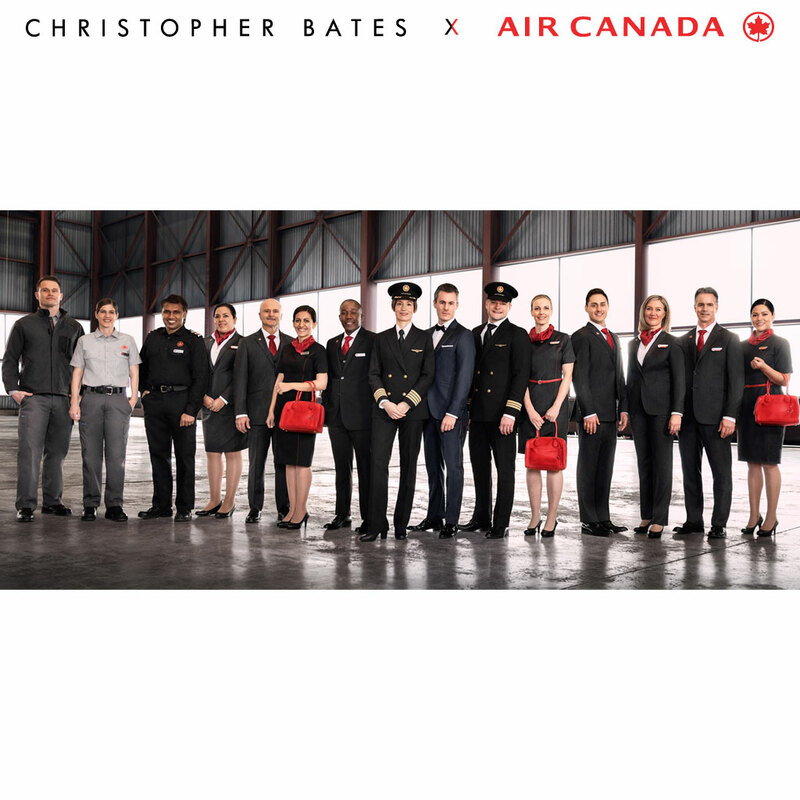 Canada’s iconic airline is one of the largest in the world and Bates has outfitted all of Air Canada’s 28,000 employees in a fully coordinated 150 piece collection. 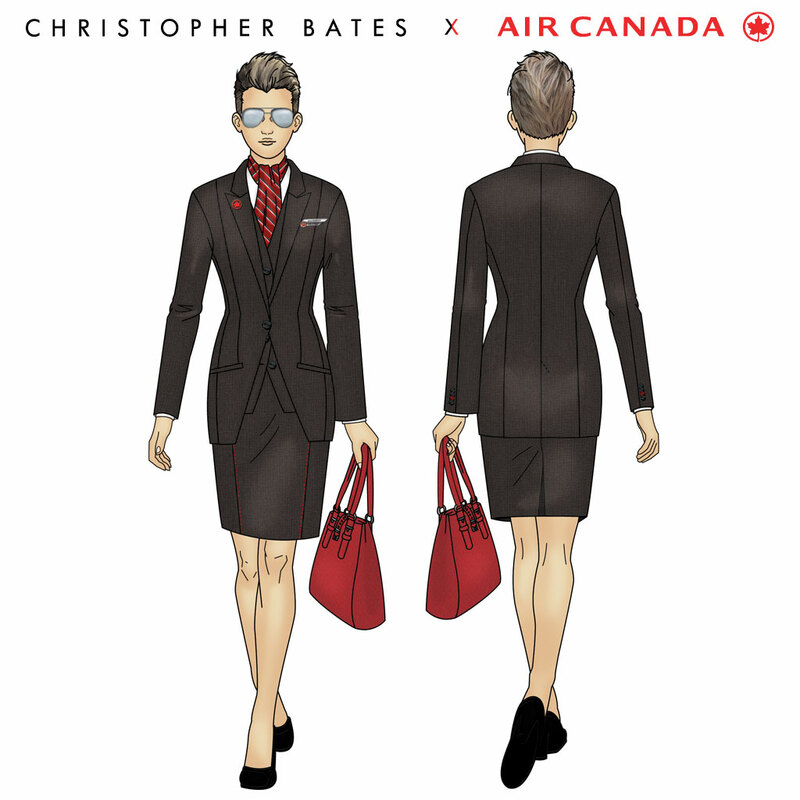 Standout pieces include: 100% wool tailored suiting and dresses coloured in black and charcoal, custom designed 100% silk print ties and scarves, and signature Air Canada red leather belts and handbags. A quick note to say thank you for everything you have dedicated to our uniform program and to wish you good luck with your show tonight. 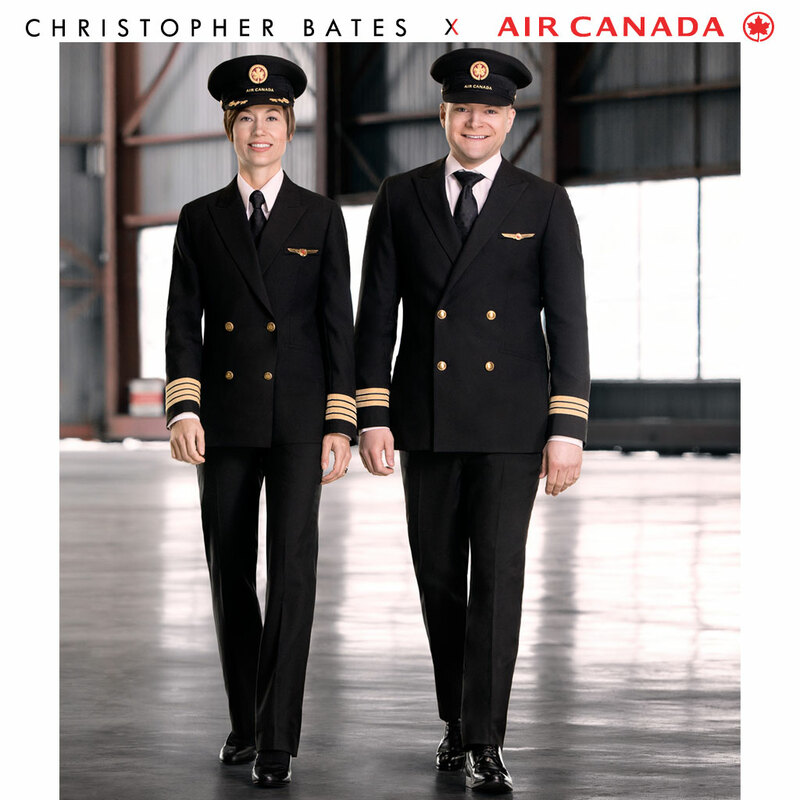 I just ran into one of our YUL based flight attendants at the airport with a scrum of agents around her wanting to see and touch her uniform. She had been in it all day and still looked chic and comfortable and sophisticated…and proud, most importantly. I imagine you are hardly checking your email as you get ready for your show tonight. So good luck, I’m sure your collection will wow everyone. 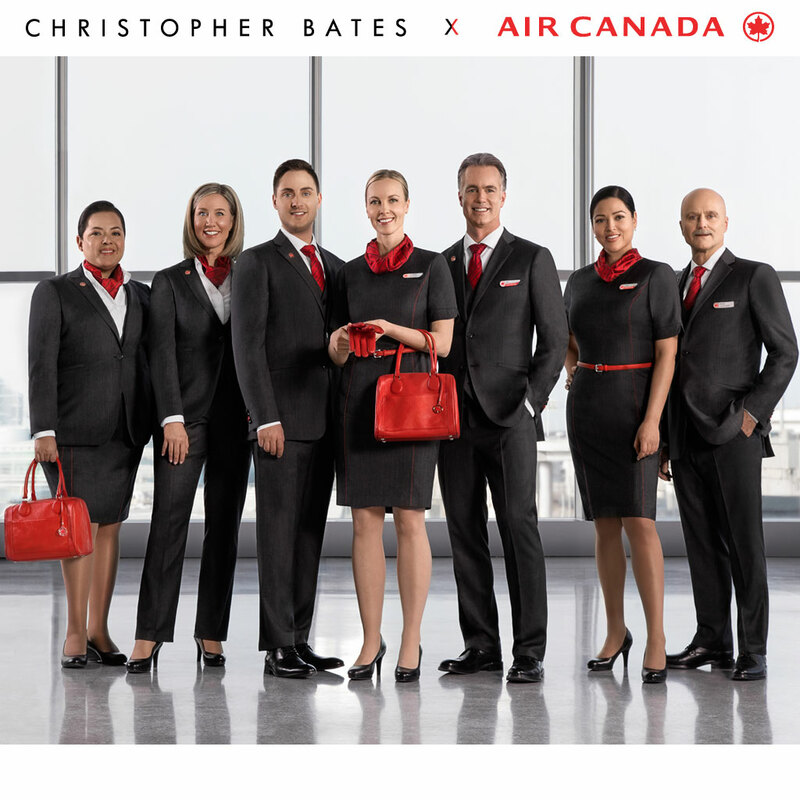 You have already ‘wowed’ this week for so many at Air Canada… momentum is on your side!